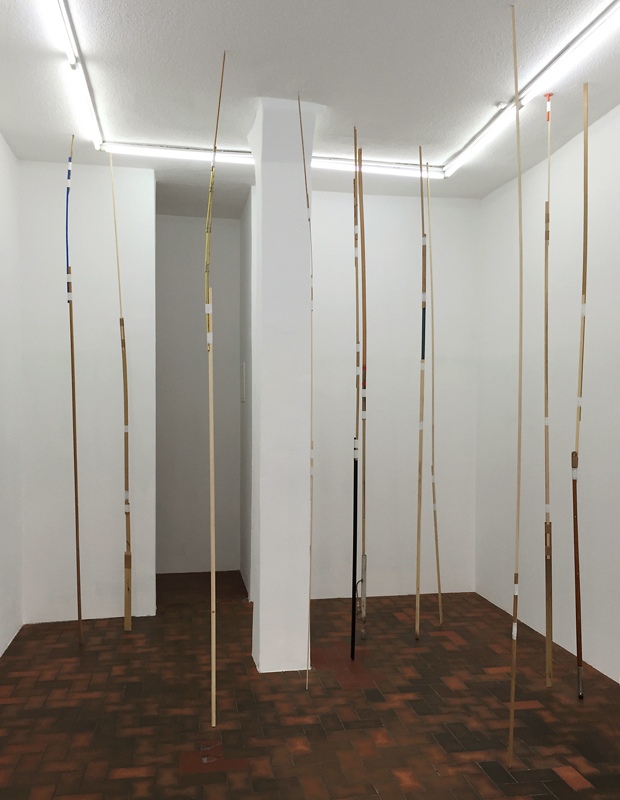 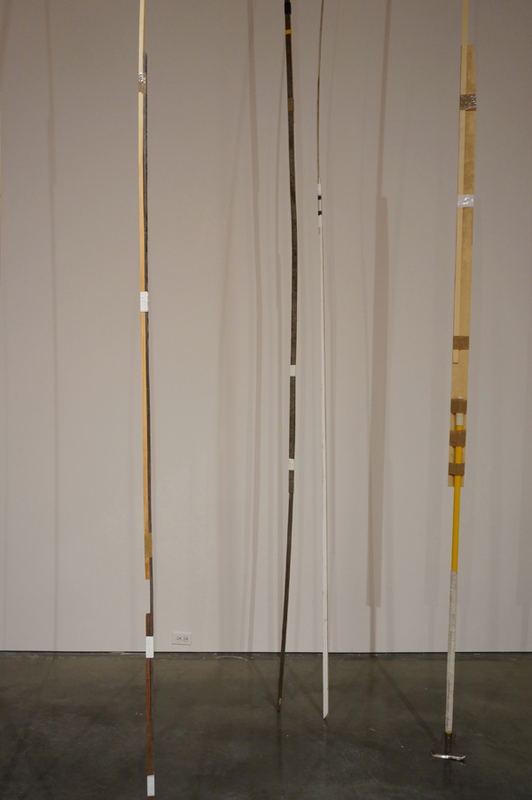 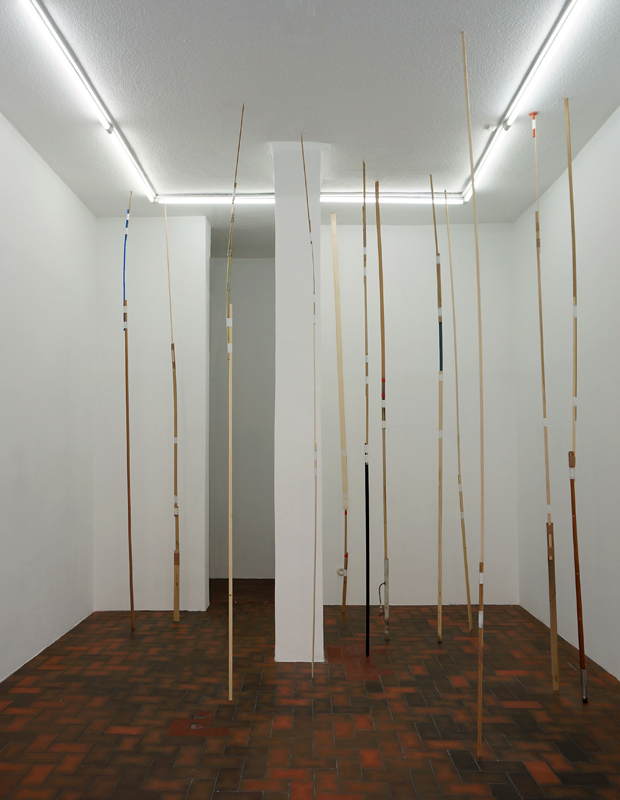 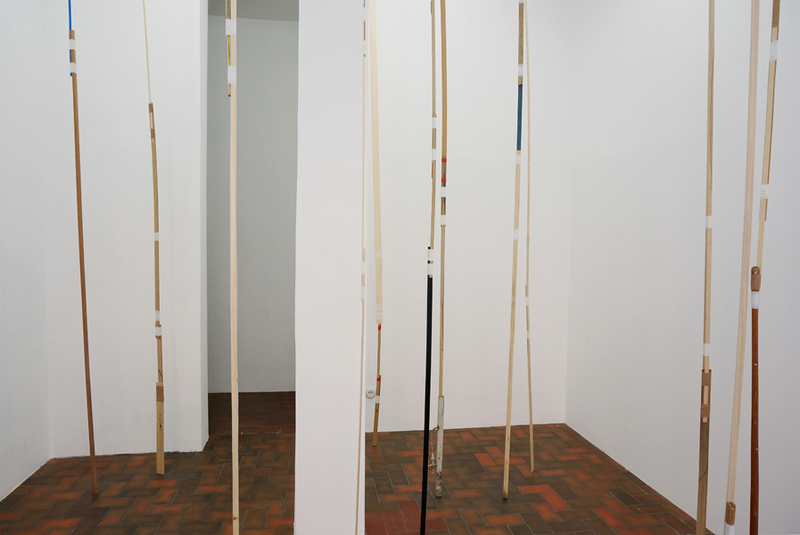 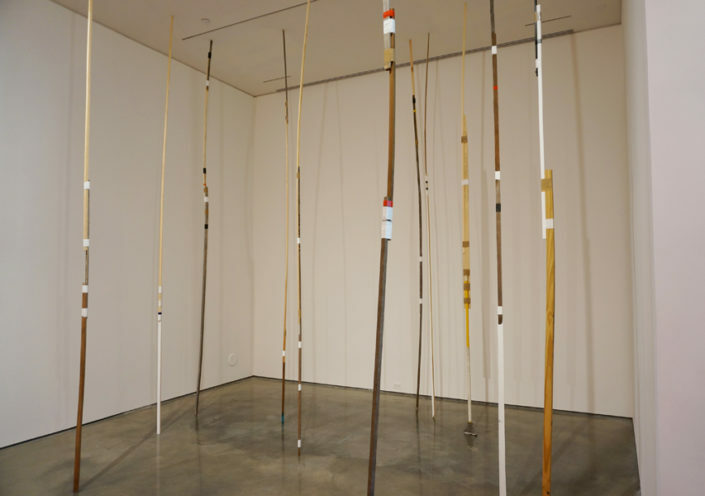 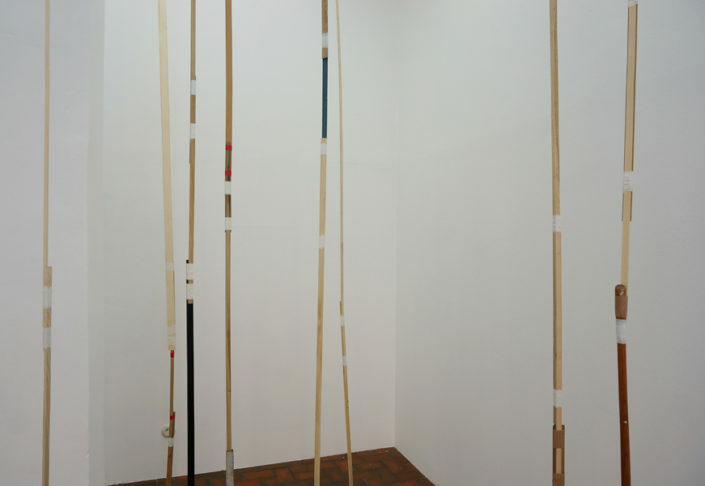 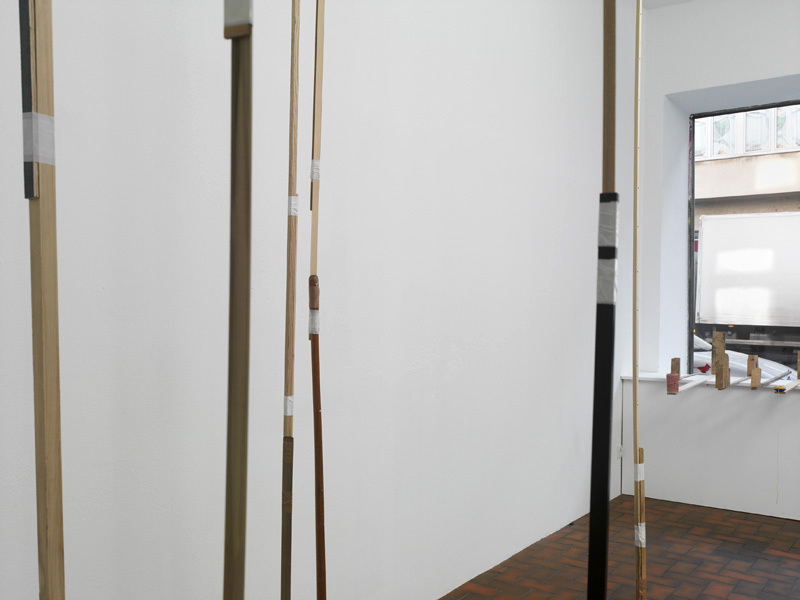 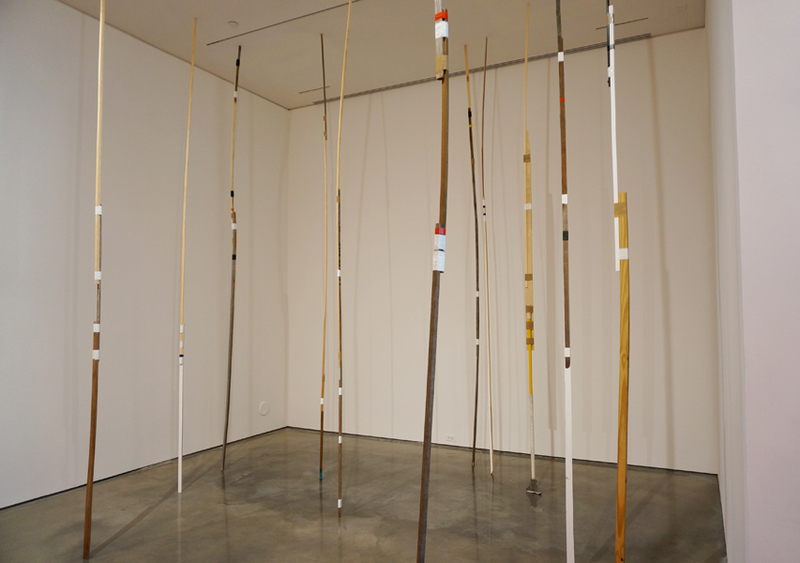 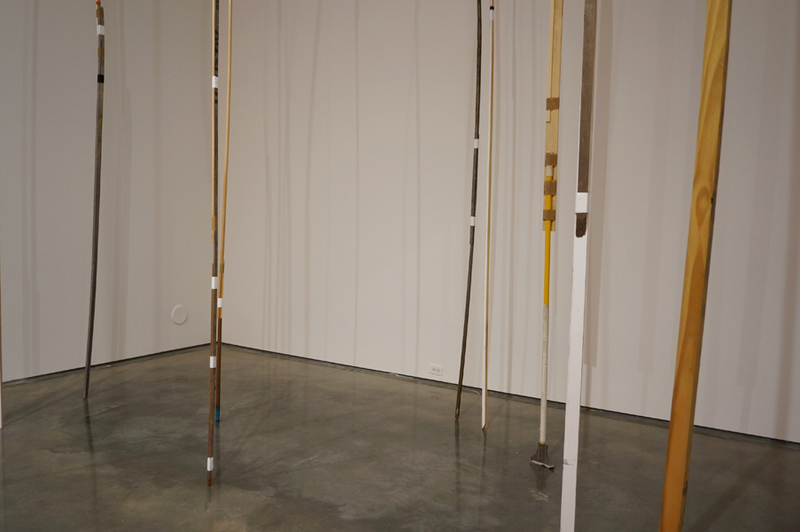 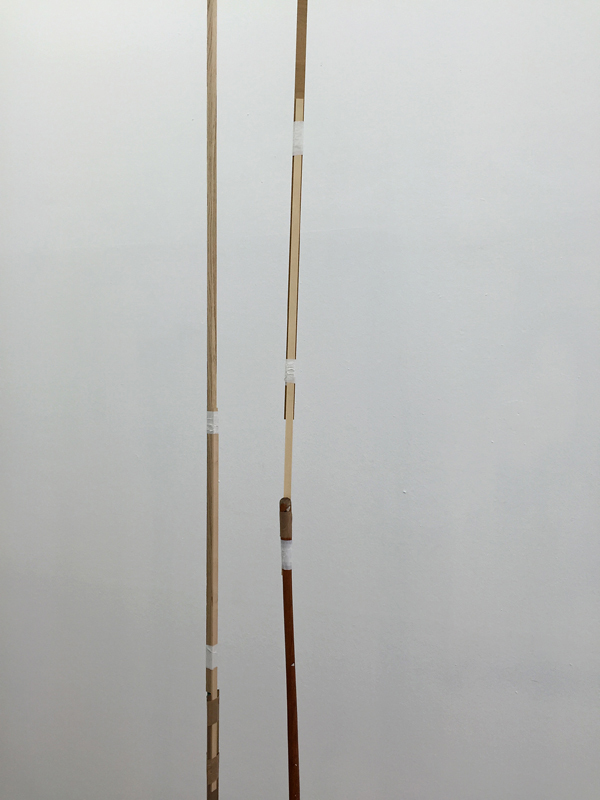 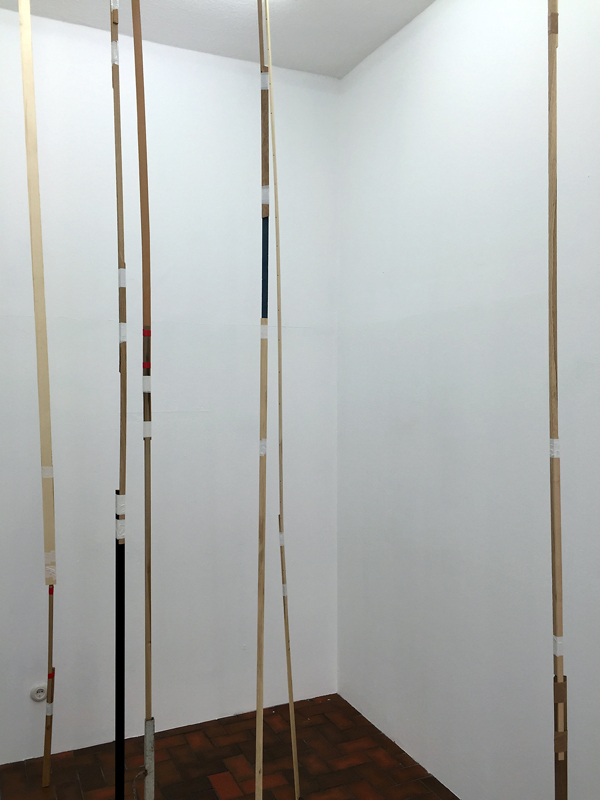 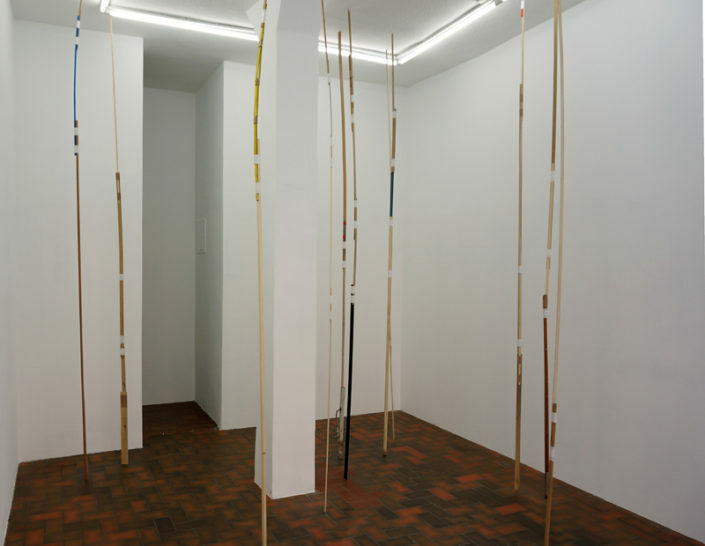 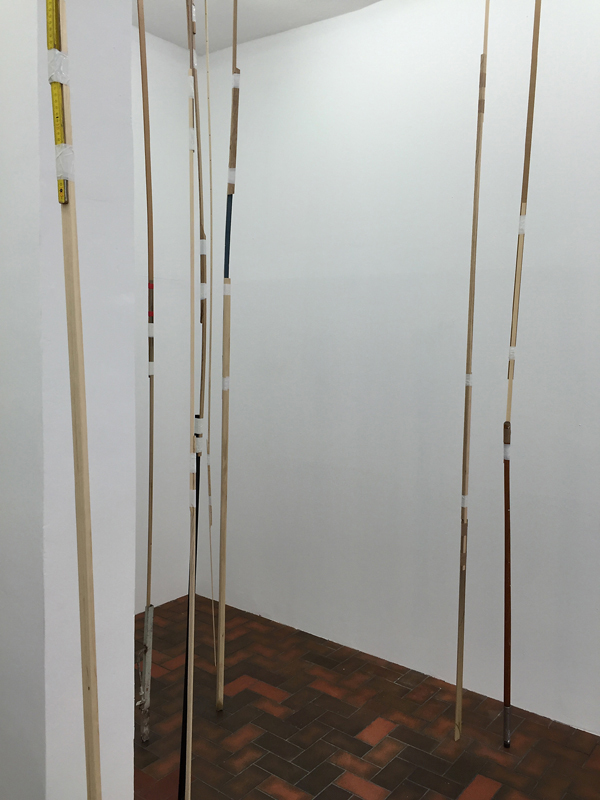 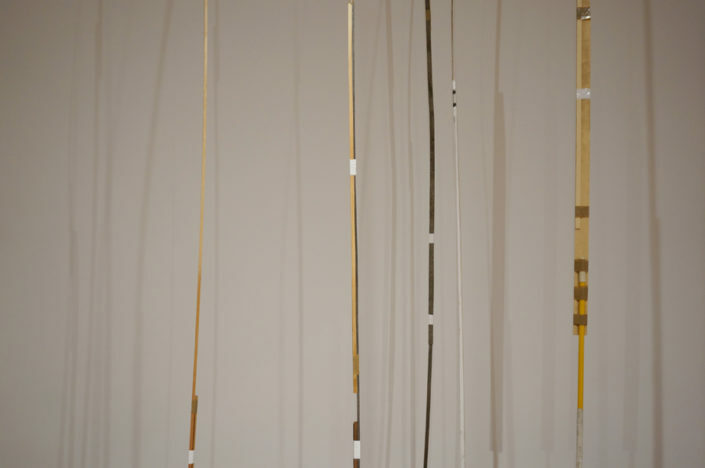 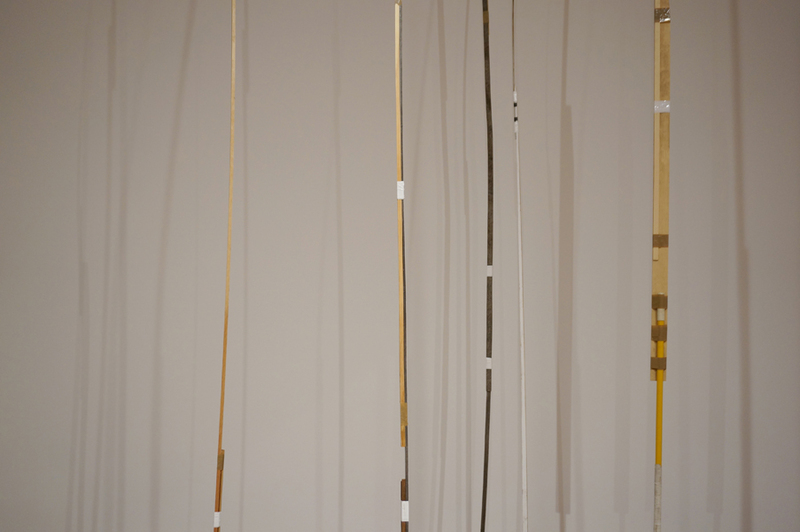 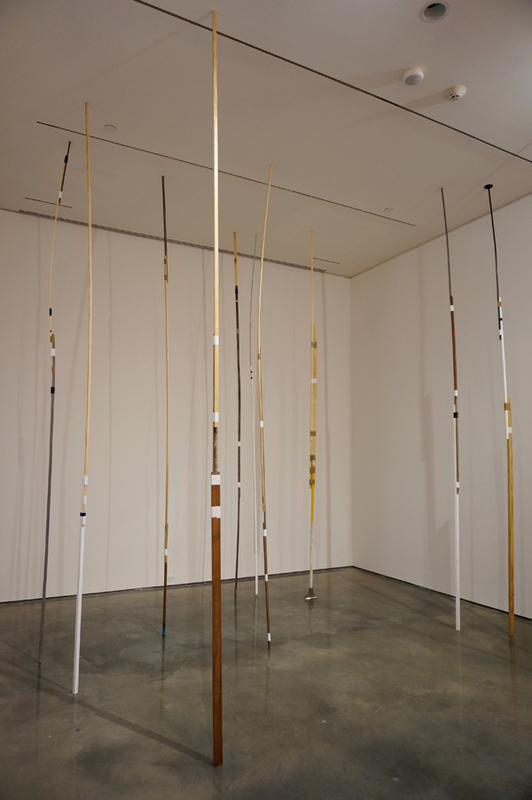 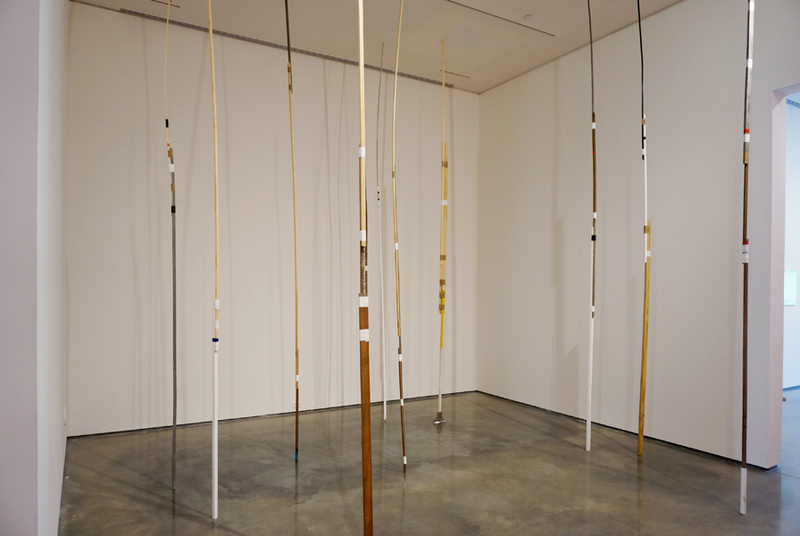 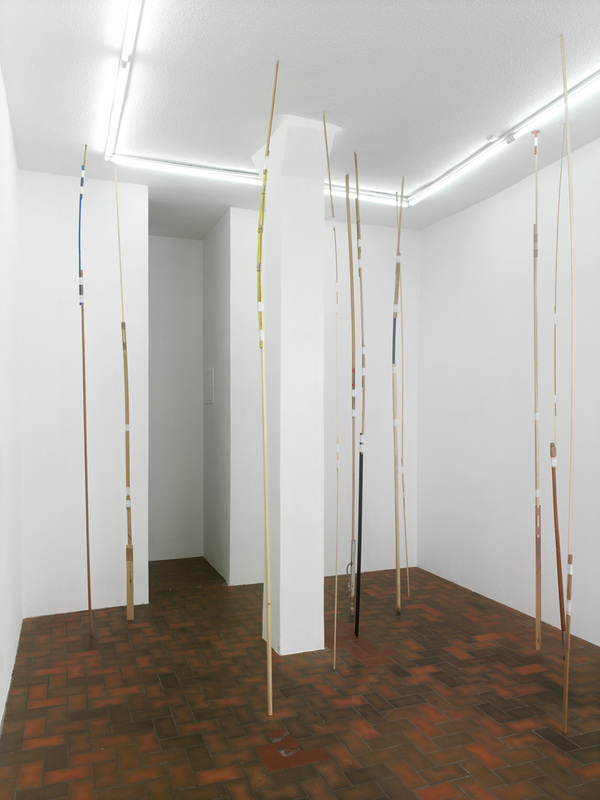 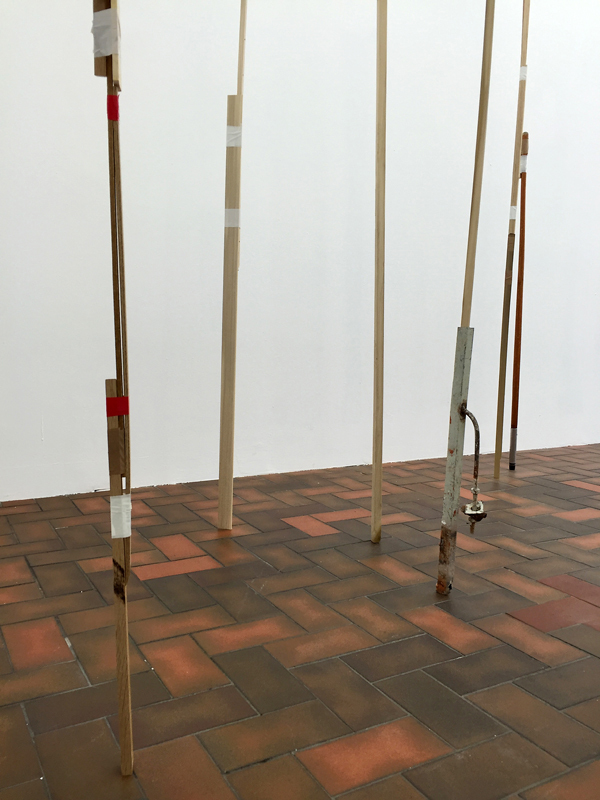 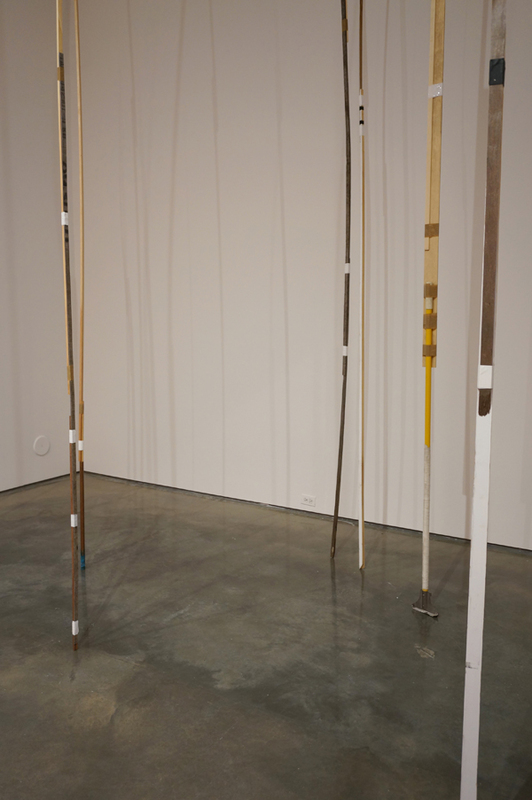 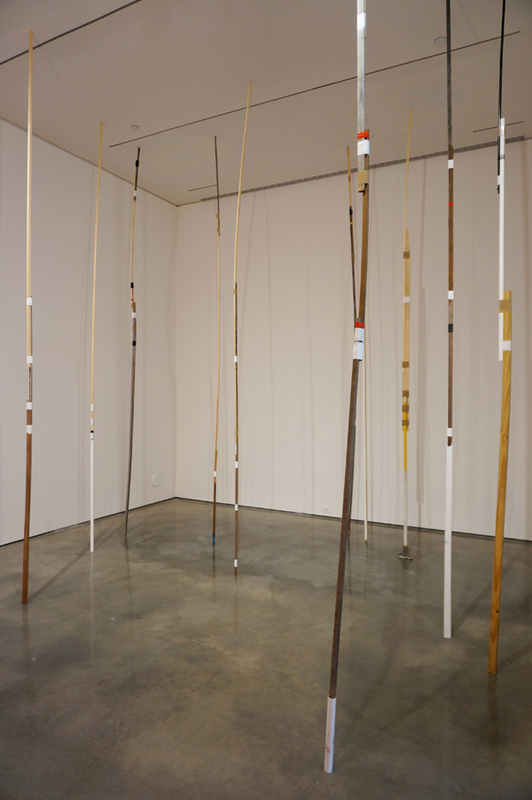 Reinforcements comprises wooden sticks connected with tape into longer poles, to make fragile structures stretching from the floor to the ceiling. 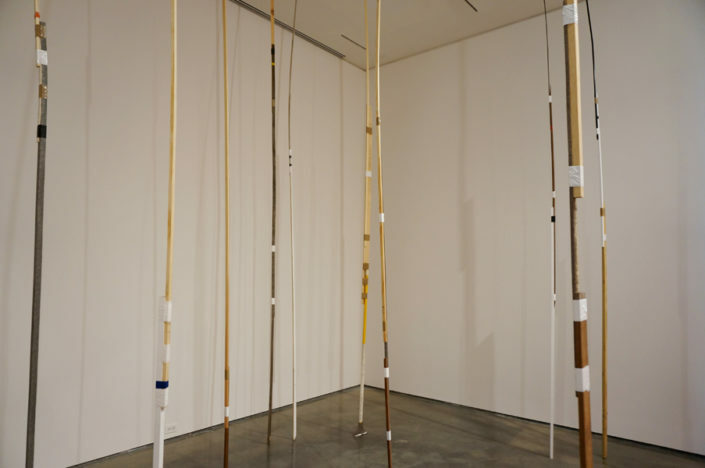 On the one hand, these low-fi constructions of “dumb” materials evoke human-made support structures, such as pillars and columns, construction scaffolding, crutches and other contraptions intended to stabilize or hold things in place. 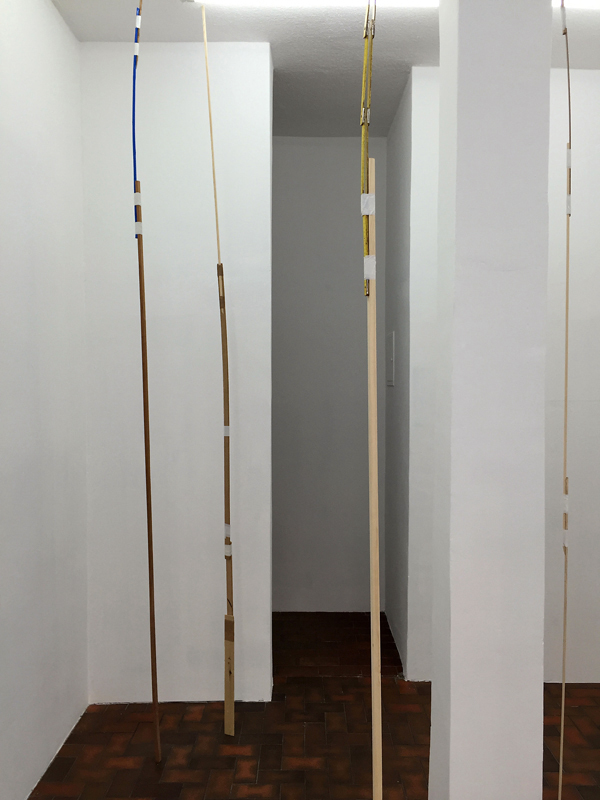 A playfully foolhardy effort, the piece stages a certain misguided attempt to “fix” a non-existent problem of stability of the room by inserting what appears as load-carrying props under the room’s ceiling. 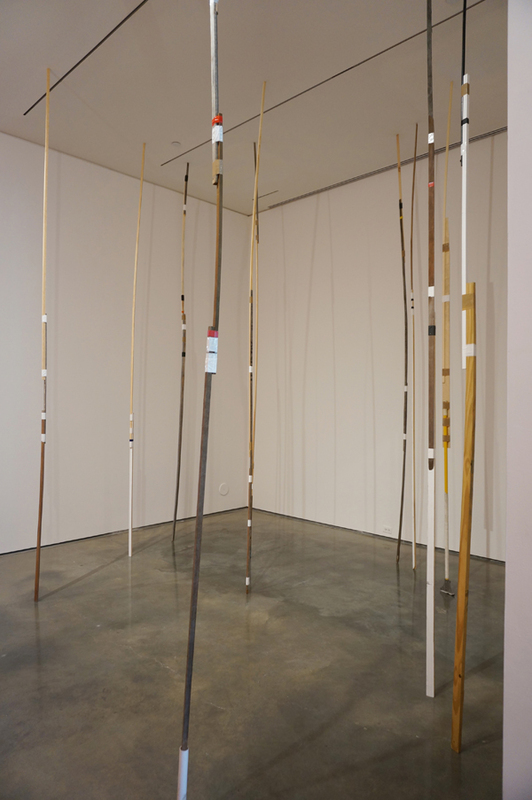 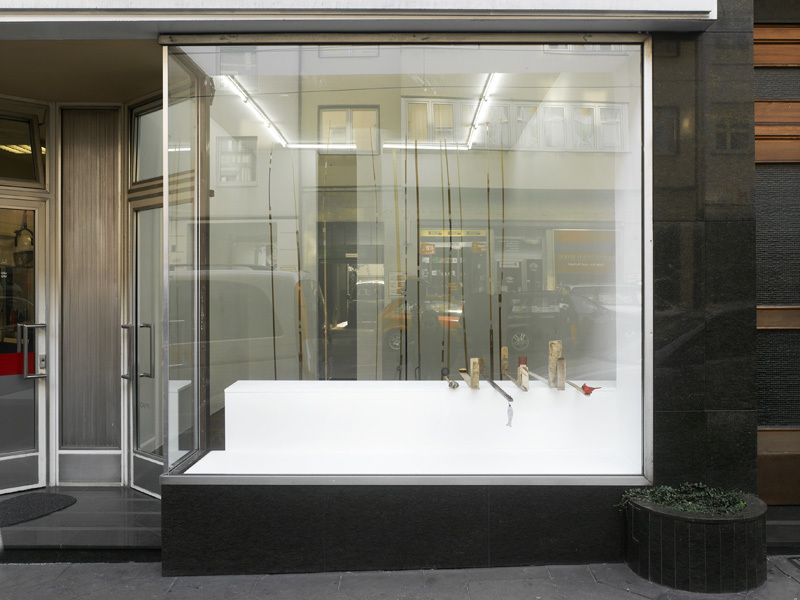 On the other hand, the sticks conjure an impoverished natural landscape – vines, trees and bushes – a decidedly pathetic forest simulation made of found bits, wooden offcuts and parts of disused objects, which the viewer is invited to navigate as she might navigate a fragile natural environment. Reinforcements continues a strand of Horvat’s recent sculptural works which place objects and materials in a state of precarious balance, temporarily held in place using principles of tension and counterpoise, without the aid of hardware or adhesives. 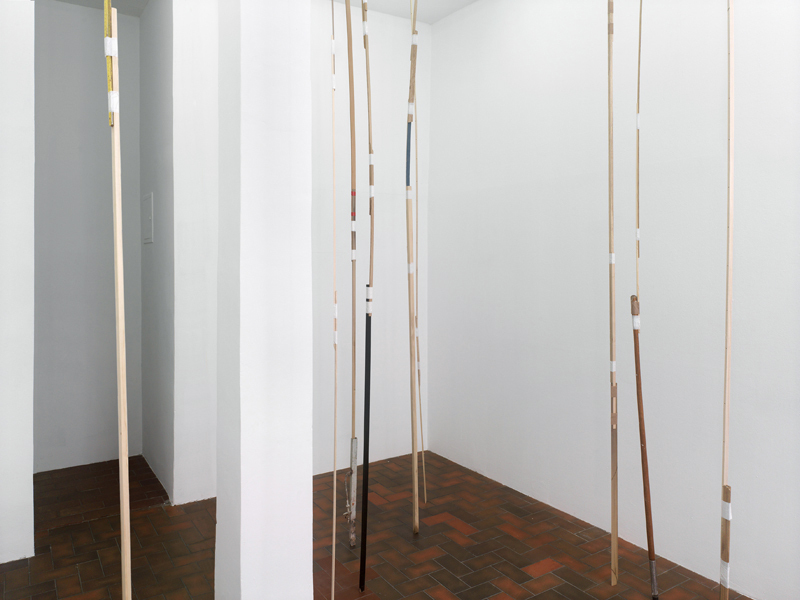 By jamming her fragile contraptions between the floor and the ceiling, Horvat appears to be taking a measure of the space, bridging the distance between its extreme points – at once interrupting the cavity of the room with irregular jagged verticals whilst drawing attention to the physical edges of the room’s architecture and the confining nature of the built space.